This park is very beautiful park. The viewpoint from the small hill near Nechsar plain (white grass) to Lake Chamo, Amaro hills (the home of Guji people) to east, Arba Minch town, Guge Mountains to west is very impressive. The park was established in 1967 with an area of 514 km2 which 78 km2 is water body. In the park, about 84 species of mammals and 333 species of birds are found. Swayn’s hartebeest (end. 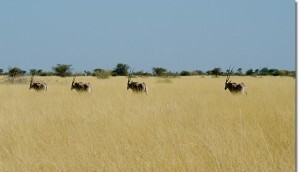 ), B. Zebra, Grants gazelle, and Greater kudu, Common baboon, Dik dik are common mammals to see. The endemic bird, Nightjar, was identified in this park. Only the wing part that was recognized after then no one has seen it.